If my dog has one rule, its that you don’t touch her mom without her permission. She’s even growled at me a few times when I went to go wake my wife up from a nap on the couch. 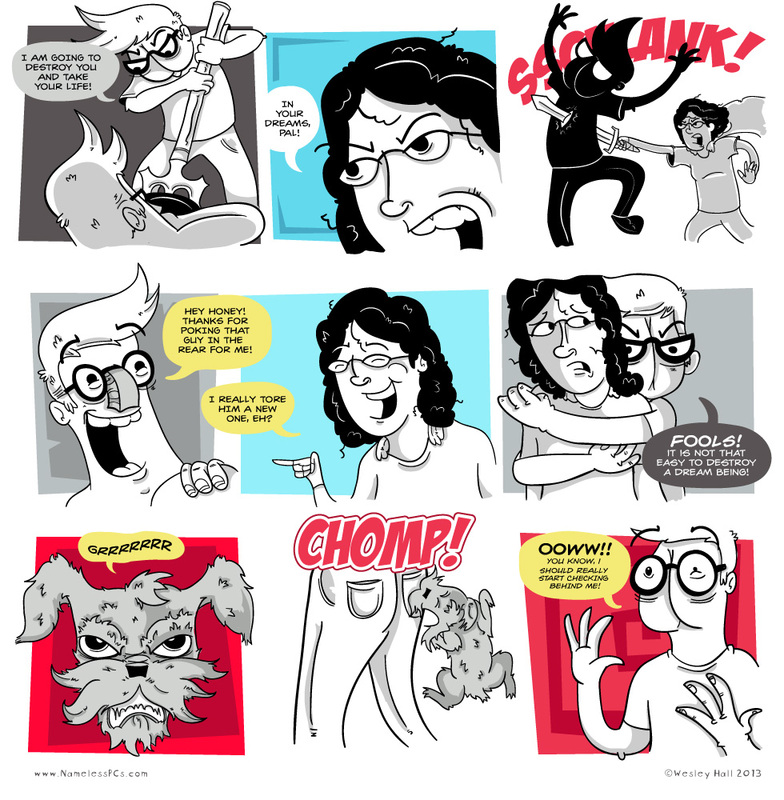 If you’re new, click here to see the first comic of this story arc! Thanks and I hope you enjoy it!